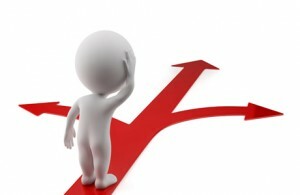 Home » Education » Wondering Which Road to Take? First Know What They Demand! Wondering Which Road to Take? First Know What They Demand! In future, after your postgraduate degree you will not only compete with your fellow mates but also with the grads of different institutes. When an organization comes for hiring you should be very clear that yours is not the only institute they are coming down to and that the level of competition is high. So before you join any institute or university you should better know what it demands to be in demand, in the job market. According to GMAC 2014 (Graduate Management Admission Counsel) survey, what is desired from a freshly minted management graduate is communication skills; written, oral, presentation skills which was followed by adaptability, cross-cultural sensitivity, negotiation skills, leadership qualities and technical skills. Mistakenly, many students still feel that strong technical skills can fetch them their dream job but, in all the desired skills communication skills are highly in demand by the organizations. A fundamental part of iFEEL’s learning process is its ‘outbound learning experience’. There are specific activities organized which enhances the leadership, communication, team building and analytical qualities in every individual student. Every year an international study tour is conducted for students which help them to view global business world and work efficiently with people coming from different diversities. This allows them to interact with people and professionals from different countries and also develop better understanding of cultural differences. iFEEL has been instrumental in offering students with pan India and international internships and placements. The students are placed at executive positions in the industry. iFEEL has successfully converted international projects at Dubai into international placements. The exceptional and innovative concept of iFEEL involves ‘Rain Lab’- Reflect, Act, Innovate and Nurture. It is a space for students to explore their creative mind and toil on plethora of ideas, prototype on certain product or service, execute it and come out with positive results. The residential campus of iFEEL is equipped with all the amenities and the esteemed team of faculty and also international visiting faculty gives insights of the global business market. With everything provided under one roof, iFEEL has successfully maintained a 100% placement record. “Tomorrow belongs to those who prepare today” prepare to stand ahead with the Top Business schools in India. Previous: American Entrepreneurship is Drowning! Where Does India Stand?